Richardo Keens-Douglas, Cheryl Kirton and GCL Treasurer Grace Charles unveil the George Parfitt collection. 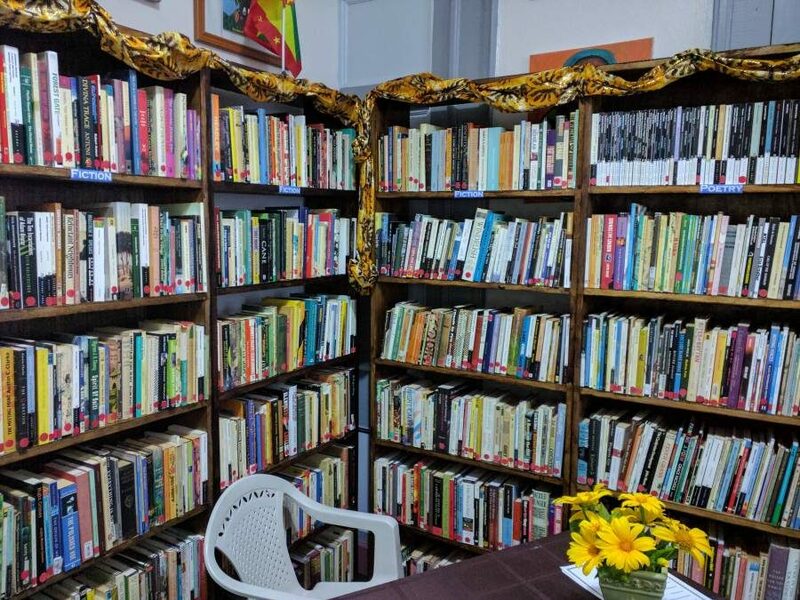 Dr George Parfitt, author of “Being Anglo-Caribbean,” has donated 1,200 books from his personal collection of Caribbean literature to the Grenada Community Library and Resource Centre. The books were accumulated over a 15-year period and includes fictional, historical, poetry and contemporary novels. Authors include Kei Miller, Marlon James, Derek Walcott and Walter Houston Clark. 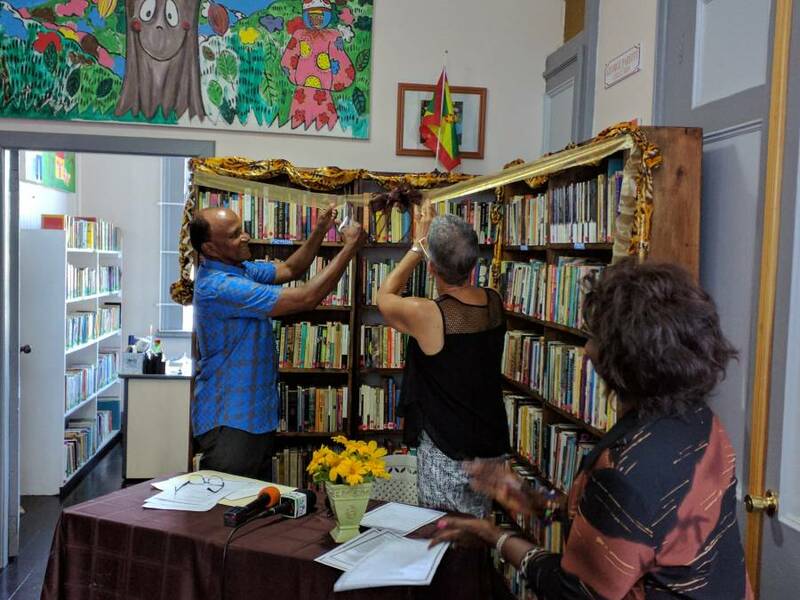 The library opens its doors to the public in 2014, operating previously under the name Mt Zion Library, from a room in the Arnold John Building in St George’s with a few boxes of books and a membership of about 20 children. That membership has now grown to more than 2,500 members, including adults. A Trinidadian by birth, Dr Parfitt has lived in England since 1954. Educated at the University of Bristol, he later worked at the University of Nottingham where he published many academic texts, mainly on 17-century literature. Dr Parfitt, who resides in Nottinghamshire, learned about the library from Professor Alison Donnell, Head of the School of Literature, Drama, and Creative Writing at the University of East Anglia who has been a friend of the library since its inception. Once the contract was made with author and co-founder of the library, Oonya Kempadoo, WI Freight Shipping sponsored the shipment of the books. Just in case you visit this site again, I see that George sadly died a couple of months ago. I am just one of very many people who will remember George’s teaching at Nottingham University with great fondness. He was a very kind, gentle and humane man with an excellent sense of humour – and someone who wore his deep scholarship lightly. May he rest in peace.